Funny how time flies, isn’t it? My first review for the site was The Golf Club and, three years later a sequel arrives from HB Studios. With the sport’s representation still on the lean side, can their second stroke pick up some carry? I’ll be honest, I didn’t play as much of the first game as I liked. As such, I missed a lot of the improvements they brought to that game over time. The original game felt like a platform and, to see a sequel took me by surprise. With this approach, it’s perhaps harder to spot any real jump in quality. 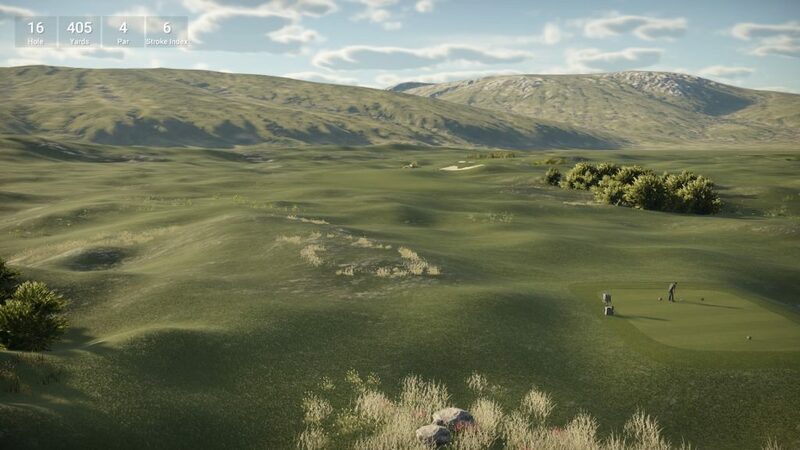 Thankfully, The Golf Club 2 brings more to the table than expected. One of the first things I noted was the tutorial. 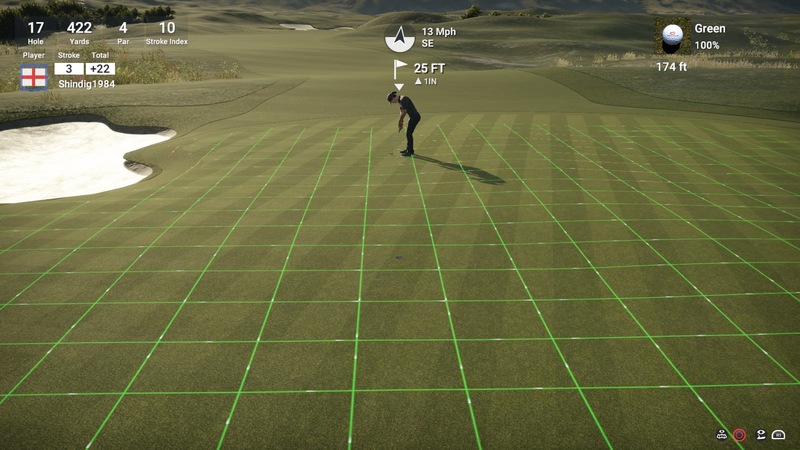 It offers some training for the basic controls, as well as the club types, shot types and modifiers that can help you keep your score down. You’re provided with a lot more feedback. There’s more importance placed on swing tempo. It appears a lot more involved and simulation focused as you play with loft, chip shots and other techniques. The tutorial gives you the basics and there’s ample places to practice your driving, putting approach play. For the most part, it’s down to you and carefully judging shot selection. Sweetly hit strokes carry real impact whilst the feel of bad efforts is evident as soon as you’ve hit them. The margin for error seems tighter and will give some veterans a real challenge. You have a free form camera you can use to judge terrain, an overhead layout of the hole to spot hazards from a distance and a scout camera that assists you in viewing the slopes of the green. There’s also the usual grid overlay for green slopes that give you plenty of information to process when trying to putt. It still presents an enjoyable round of golf although, as a casual, I need to step it up. I was never great at the first game but, with the improved level of information on hand, I really should have no excuses. Visually, the courses carry some more detail and the fairways have a lot of care and attention to them. Elsewhere, there’s a little more going on in the background with birds and planes flying in the distance whilst wildlife also makes an appearance on the links themselves. It’s not universally pretty. Crowds feature multiple doppelgängers, water has an otherworldly appearance whilst trees and foliage look jagged and cheap. Frame-rate’s a little inconsistent too. It can hamper parts of your swing which proves a little frustrating. Holding back until the game’s finished doing whatever background loading it’s dealing with. It’s still a project on a budget but the charm of The Golf Club still remains. The passive aggressive broadcast announcer returns to act as a part-time caddy and his words of encouragement can provide valuable input. He talks you through the initial tutorial and keeps watchful eye over every stroke you play. 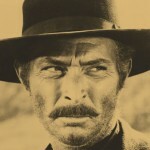 His cheery disposition remains with the hint of know-it-all-ism that can really cut deep when you’re as atrocious as me. It puts a smile on my face to do something he applauds. He basks in your triumphs and suffers along with you. The social links in The Golf Club 2 are stronger. The constant saving of ghost data and leaderboards imply that this is still a social experience best served against other people. Societies prove the big hook. They act similarly to clans where you can group up and schedule regular events for monetary rewards. The offline equivalent acts as the Career mode which, rather than provide a rags to riches climb, presents you with your own society you can build how you see fit. Consider it a more involved opportunity to practice under competitive conditions. Your handicap becomes unlocked after two completed rounds and acts as your filter for matchmaking. The community looks initially strong with created courses and societies being abundant. The swift load times of the previous game have taken a hit, sadly. This may be due to the servers being brought to their knees during the launch window. Patches have dropped to alleviate the pressure and, I’ll confess I’ve been one of the lucky ones who’s maybe seen one gigantic load and one disconnect. For a game that’s been given such a multiplayer focus, they can’t afford to have server issues. HB Studios gave the original game a lot of support so we can hope for more of the same. It’s a tricky start for a product that manages to build upon sound foundations but there’s a heart that still shines through. 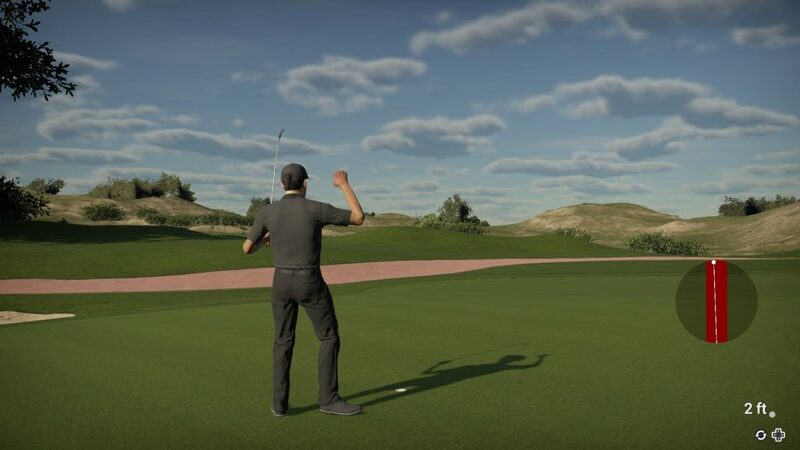 Those worried about the server issues might want to keep their ear to the ground but, for anybody who missed out on the original, The Golf Club 2 hands you a fairly handy experience. + Plays a precise game of golf. + Societies make it easier to group up with others. + A strong community presence out of the gate. + A lot more feedback available to the player. - Visually, it's still a mixed bag. - Servers have been spotty at launch. - Be prepared for a tough learning curve. The Golf Club 2 builds on the original's interesting blueprint and adds more social integration whilst delivering an impressive engine. The improved feedback ensures more precision and a steeper learning curve. The technical issues and server problems undermine the excellent golf on show. It's not perfect but it does improve on its predecessor and provides a sound golf simulator. Mike gets all the racing games because he understands that stuff even though he doesn't drive.